But back to eating. 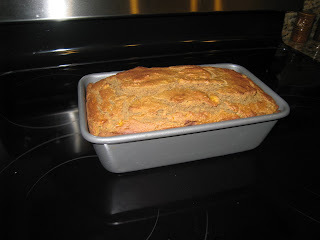 I decided to make banana-pumpkin bread, but not just any kind, gluten-free style. I don't have celiac disease, but I've been on the GF bandwagon for a while now. Why? 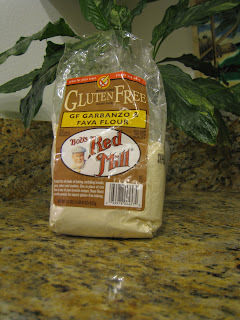 Well, first, gluten is a complex protein found in wheat, rye and barley, so it's in most breads, pastas, grains, etc. Without going into the whole science and history of it, it's said that gluten can cause fatigue, digestive problems, malabsorption of nutrients, GI issues (no fun), joint pain, among other things, and some claim it's in an endurance athlete's best interest to limit or cut out gluten. Check this out. Read that even pro triathlete Desiree Ficker is gluten-free. A Google search can bring up tons of resources. GFism is pretty abundant these days - there's a link bewtween a GF diet and "curing" autism, Jenny McCarthy stands by this one - and everywhere from Trader Joe's to Whole Foods to regular grocery stores have GF products. In no way is this a low-carb diet. Pastas, cereals, breads, crackers, flour, baked goods, cookies, snacks, etc... you name it, there's a GF version. I'm all over brown rice pasta, breakfast tacos with corn tortillas, rice crackers, GF oatmeal, etc., but I hadn't baked anything GF. Until now. Something about wintery weather (SoCal has gotten a lot of rain/cold lately) inspires me to bake. Having four browning bananas chillin in our kitchen also sparked the idea. Not to mention, I have a fetish with anything that is or tastes like pumpkin pie, so adding pumpkin was a must! As you can see, I used Bob's Red Mill GF Garbanzo & Fava Flour. A good source of protein unlike regular flour, not to mention a good amount of carbs/fiber: For a 1/4 cup it's 110 calories, 1.5g fat, 18g carbs, 6g fiber and 6g protein. There are other GF flours, too: brown rice flour, millet flour, buckwheat starch, potato flour, you get the idea; many GF bread/baked goods recipes call for a combo of flours. The bread turned out extremely tasty, though a little dense and still kind of doughy in the middle. It was even better the second day, though, once things "settled in." However, I'll most likely do some recipe-tweaking and also bake for 10-15 min. longer next time. Bowl 2: Blend sugar, butter and sour cream, then add mashed bananas, pumpkin, vanilla and spices and stir together until well mixed. Combine flour mix with banana mix and fold together. I got the majority of this recipe off Recipezaar.com, but I tweaked some things. Also, next time I'm going to add flaxseed meal for Omegas. hhmmm pseudo primal - we'll give you some primalfusion link love in next post! I'm going to try it soon. I cut out a similar recipe from Runner's World that came from Desiree about a year and half ago. You're inspiring me woman! I was totally gluten-free for some food sensitivities for about three years. Now I can mix it up. Quinoa, brown rice hot cereal, and brown rice are still regular staples.